This might be a total Millennial generation kind of humanities moment, so readers be warned. 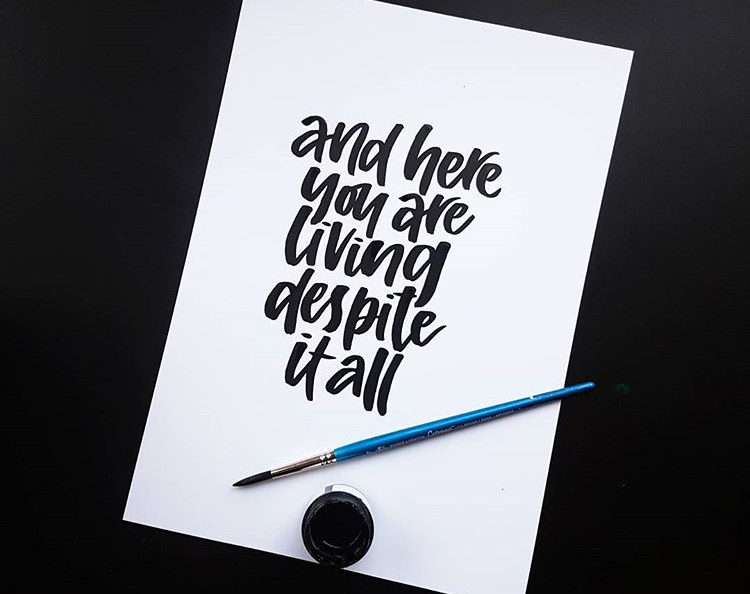 One day, I was scrolling through social media when I came across a post from a wonderful calligraphy artist. It read, "and here you are living despite it all." The post reminded me of the many times in my life when I was so hurt and so devastated over something that had occurred that sometimes I didn't feel like I would survive them. There were arguments with my mom, break ups, and bad grades, and they all took their toll. So when I casually came across that post, I took a moment and realized just how far I had come and just how much I have accomplished despite those seemingly possible to overcome parts of my life. It was one of the few times I was genuinely proud of myself, my strength. Something as simple as scrolling through social media became my "aha!" moment that made me realize I'm stronger than I give myself credit for. I should be proud of who I've become, and I need to stop being so hard on myself. Something so simple became my humanities moment.